Though 1920x1080p has become the standard resolution for home theater projectors, the next wave of technological advance is upon us. 4K Ultra HD has a native resolution of 4096 pixels by 2160 pixels (the 4K name comes from the first number, rounded off). 4K has four times the pixels of 1080p, and it shows. 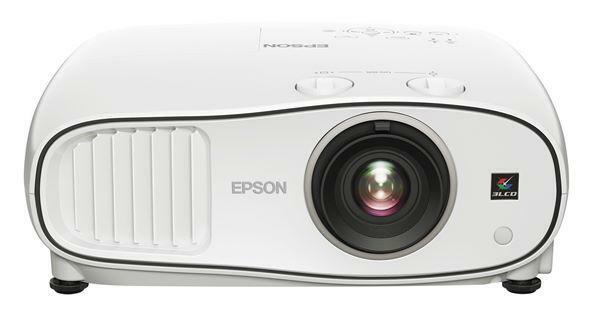 4K resolution projectors are now starting to become available, though they tend to be very expensive. The first reasonably priced 4K projector to make its way into our hands is the Sony VPL-VW600ES. The VW600ES is a unique projector: a full 4K resolution SXRD home theater projector for $14,999. Though priced higher than most home theater projectors we review, it represents an outstanding value. At the moment there is not a lot of native 4K content available, so anyone purchasing the VW600ES will no doubt spend most of their time watching content that is not native 4K. So we tested the VW600ES using a wide variety of content, ranging from native 4K films to HD Blu-ray movies to standard-def DVDs, to see what the projector does with a variety of sources. The most remarkable thing about the VW600ES is that, without fail, it knocked all of our tests out of the park. Every source we threw at it looked better than it ever had before. And we're not just talking about Blu-ray movies, either. We tested a number of DVDs, including some especially poor transfers like Bottle Shock. The DVD release is full of digital noise and compression artifacts and has a picture that could charitably be described as "messy." Nevertheless, the VW600ES did an admirable job of cleaning up the digital noise and up-converting the picture, performing nearly as well as our Oppo BDP-103 reference Blu-ray player did. And when given better quality source material, like Pixar's Ratatouille, the VW600ES can really shine. Since 4K is equivalent to four times the pixels of 1080p, all non-4K sources are up-converted to 3840 x 2160 on the VW600. But rather than doing a simple line doubling pass in each direction, the VW600ES analyzes each frame of video and then interpolates to 4K in order to maximize detail clarity and sharpness. As a result, even highly detailed HD films appear to have more detail still when viewed on the VW600. Usually, the farther you sit from your screen, the larger your screen has to be before you see the benefit of higher resolution. In other words, super high resolution is more obvious when viewed from up close. But the benefit of 4K resolution can be evident even at longer viewing distances. The THX maximum recommended seating distance for 1080p displays is 1.5 times the screen width. At this distance, there is more visible detail in the VW600's image than on a native 1080p display. In fact, this detail advantage is still visible at even longer viewing distances -- up to about 2 times the screen width by our testing, or about 14.5 feet from a 100" diagonal image. While it is true that the maximum benefit of a 4K picture is not truly obtained until you are sitting very close to the screen, the cumulative effect of all of those extra pixels is not lost on the eye when seated farther away. Let's spend a minute on the subject of visual acuity, which is the ability of our eyes to resolve detail. "20/20 vision" is defined as the ability to differentiate two points of light separated by one minute of arc (that is, 1/60th of one degree). For a 100" diagonal screen at a viewing distance of 1.5x screen width, the screen is roughly 2200 arc-minutes wide. In other words, you can see all of the 1920 pixels in a 1080p image, but that image does not "max out" your visual resolution -- there's room for more detail. Furthermore, 20/20 vision is actually the lower limit on "normal" human vision. It is used as a diagnostic cut-off, above which no further testing is necessary. "Perfect" human vision is actually closer to 20/16 or even 20/12. Someone with 20/12 vision can resolve detail down to 0.6 minutes of arc, and would see some benefit to 4K even at a viewing distance of 2.25x the screen width. However, if you want to get the most out of a 4K projector, you'll want to be seated at a distance between 1 and 1.5 times the screen width. At this distance, the benefit of the extra pixels is visible to just about everyone. Actual native 4K content is limited right now, but it does exist. We set up the VW600ES with Sony's FMP-X1 network media player, a hard drive-based 4K player with access to Sony's Video Unlimited 4K store. The VU4K store has about 70 commercial movies available, plus a variety of shorts, documentaries, and TV shows. The FMP-X1 media player is entirely hard drive-based and has an internal 2-terabyte drive capable of storing up to 45 full-length feature films. It requires a hardwired ethernet connection and needs to be paired with a Sony Xperia Tablet Z that serves as a remote control. Due to the sheer size of the files being downloaded, the FMP-X1 cannot stream 4K content, so movies have to be downloaded completely before use. Depending on the speed of your internet connection, a feature film (roughly 50 GB) can take between 8 and 50 hours to download completely. The player does have an option to download new content automatically during off-peak network times, though it is disabled by default. Using the FMP-X1, we watched several 4K films including A Few Good Men, The Amazing Spider-Man, Battle: Los Angeles, and Salt. The quality of the 4K transfers was a little hit-and-miss, with some films showing fantastic detail and others not looking much different from 1080p. This also may be due in part to the content itself; Battle: LA and Salt are heavy on action sequences in which high resolution detail gets lost, while A Few Good Men and The Amazing Spider-Man have some long takes with stationary cameras, making it much easier to see detail. All 4K movies, regardless of the amount of detail we saw, showed above average digital noise. What's more, the FMP-X1 locks out the VW600's noise reduction circuits, so it isn't removable. There is definitely more detail in 4K content than there is in 1080p content, and it is clearly visible from normal viewing distances. We tested this in two ways using A Few Good Men. First, we watched the Blu-ray version of the film on a 1080p projector while watching the 4K version on the VW600ES in a side-by-side test. In this comparison the 4K source's advantage in detail resolution was quite obvious. Next, we sent both the Blu-ray 1080p version and the native 4K version to the VW600ES for an A/B test. Here the VW600ES gave the 1080p version noticeably improved detail over the 1080p projector - though still not as good as the 4K version. It confirmed what we already knew about the VW600's upscaling capabilities, as well as demonstrating the potential of 4K source material. Since current 4K content is limited, this just means that the VW600's primary benefit at the moment is as a high-resolution display that upscales standard-definition and 1080p HD content. But that benefit by itself is quite significant. In 3D, the VW600's picture is clean and bright without any of the usual 3D pitfalls or artifacts. There's barely a hint of crosstalk at the glasses' default High brightness, and while there can sometimes appear to be a slight jitter or instability in bright areas, it never rises to the level of a serious distraction. The projector gives an excellent impression of depth and a strong 3D effect, and the included radio-frequency glasses are lightweight and comfortable -- though not rechargeable. Still glad I picked up my brand new Sony Sony VPL VW1000ES for a hair under $14k. A great review! I am surprised about the upscaling quality of standard DVD material with this projector. I would have thought the higher resolution would have made DVDs look even worse. Could you please explain your comment about the projector upscaling nearly as well as your Oppo Blu-ray player? Were you going back and forth with the Oppo's enhancements on and the Sony's Reality Creation off and then vice versa? I have often wondered what determines the best quality from a standard DVD...the projector or the player. To take it a step further, what would happen if you ran a standard DVD source through the Oppo and the Sony with the enhancements and Reality Creation both on? Would the clarity improve even further, or would it reach a point of overkill? Thanks in advance for your response. Foxman - it appears we've crossed a wire somewhere. When you're talking about digital projectors, all non-native signals need to be scaled to fit the native resolution of the projector. We experimented with scaling by setting our Oppo BDP-103 to output 4K, then switching it to output 480p (thereby allowing the VW600ES to handle its own scaling). In the past, projectors did not have the greatest upscaling capabilities, so it was frequently beneficial to add either an upscaling DVD player or a separate video processor. The VW600ES has excellent internal scaling that is variously on par with or superior to the scaling in the Oppo BDP-103, which is itself top notch. Reality Creation, on the other hand, is not upscaling. Reality Creation is a detail enhancement system similar to Panasonic's Detail Clarity or Epson's Super Resolution. It makes the picture appear sharper, clearer, and higher in detail. You can apply Reality Creation to the picture regardless of where the scaling is performed. with the exception of a long lasting led / laser light source !!!! Thank you for your response. It is evident I need a refresher course on upscaling. I also need to go back and see if my 5-year-old home theater system is calibrated correctly! Great review. I gave up on watching the 4K content from the media server as it's too expensive ($30 or more for some stuff)but mainly because Bluray movies look fantastic and so do the NFL night games. Day games are ok but the night games are great. It was nice to read about all the various features and how each feature changes the projector/picture as the manual is lacking in this area. Also, you did a great job explaining eye sight/vision. Your the only reviewer to do this other then my eye doc. My vision was 20/10 until recently and then it changed to 20/25 over a few years. The eye doc got my vision corrected back to 20/10. The difference is very noticeable from 18' on the 133" screen, and now I understand (somewhat) the reason. This projector is a game changer and it will be interesting to see how other manufactures react as the current street price of the projector is under 11K; still a lot of money but this projector has only been out a few months. Great review. Ceilings mounts are NOT considered "professional" as far as installations go. Having the PJ behind the rear wall in a separate booth is considered much more professional. Particularly in a dedicated screening room. No idea why this particular Sony PJ would need any more of a professional installer installation than any other HTPJ. I mean, it is just a 1700 ANSI lumen HTPJ, folks. And that brings me to the nitty-gritty of it: fifteen-thousand dollars -- for this? Nay.... check back in 2-3-4 years time, prices by then will be under $4,000, for sure. With other players in the game, not just mega-Sony. For now, the ticket is with the 4K UHD TV, now that prices have dropped below the $1,000 mark on some of them. Great review, though, the shape of things to come, surely. No idea how the Runco came into the picture here, based on its description (HD rez, single chip DLP, color wheel, etc), it seems to be priced about $11,500 too much. "Game mode is very bright, has a blue tint, is comparatively lower in contrast, and does not offer any benefits to input lag"
It's a pity! Game mode almost useless due to input lag. What is the range on the zoom lens (range of throw ratios)? $15000 MSRP is not a bad price. If the street price is lower, for an early adopter whose main hobby is projection technology - it is doable. I would consider this technology if it can be had for under 10K. Will you be testing the Sony VPL-VW1100ES projector? I can find very little information on this projector except from Sony itself. That 120 ms input lag is a deal-breaker. Very disappointing that even in game mode it is still that bad. Makes the projector unplayable and strictly a movie/TV watcher which is not how I would want something that costs $15k to function. This makes it too slow for gaming, at least when non-native sources are used. was wondering what the input lag would be with a native 4k signal from a extremely high end PC? Regarding 20/20. The optician's test image is a Snellen eye chart. At 20/20 the letter "E" has bars 1 arcminute thick and the two gaps between the 3 bars are also 1 arcminute (5 arcminute high total). Also the contrast is good and the background is 100 foot lamberts (i.e. brighter than typical for video projected images and TVs which gives the eye better acuity). However there is more to the story. First, if the resizing is a weighted blending of the original pixels (bi-linear interpolation), then letters of a 20/20 eye chart would have fuzzy edges (if the displayed pixel overlapped half a dark original pixel and half a light pixel, then the bilinear interpolated output pixel would be gray). Thus 4K resolution projection would suffer only half the degradation that a 2K projector would suffer. In other words, the letters of a 20/100 resolution eye chart will be a little sharper but for the highest displayable resolution eye chart it will be a lot sharper. Second, the eye has much higher vernier resolution and can discern if a line has a 12 arcsecond step displacement. That means the eye is very sensitive to aliasing artifacts. A 4K display would inherently have only half the angular magnitude line displacement of a 2K display. (Although line displacements will be less, they can still be visible since the displayed pixels are still larger than 12 arcseconds. Antialiasing algorithms hide these artifacts but somewhat blur the image. On a pixel basis, double display resolution allows these artifacts to be hidden with antialiasing pixel processing that is only half as blurry. Third, if the resolution is twice as high, then motion blurring is twice as noticeable. Thus, if your eye gaze follows numbers across the screen (e.g. football jersey or stock market data scrolling across or film credits scrolling down), then the eye is blurring twice as many pixels together. This means at 4k, 240 Hz motion blur reduction is required to attain the same affect as 120 Hz MBR at 2K resolution. The good news is this is only a fair comparison when the numbers on the 4K display are half the angular size as on the 2K display and you are expecting to see them equally well. If both projectors display the same image of a moving 20/40 Snellen eye chart, then of course the high resolution projector will suffer motion blur no more than the 2K projector even when both are MBR at 120 HZ. However do not expect to then switch the 4K projector video to a 20/20 Eye chart moving at the same angular rate across the screen with the same clarity as the 20/40 video on the 2K projector unless you also run the 4K projector at double the motion blur reduction rate. On a 4K display, when motion blur occurs, the temporary resolution degradation is much more noticeable. mmm...when reading this..why pay for future equipment,and with this- pay and support development? 4K = 720p (and 6K) 8K = 1080p 8K Will be standard. problem solved. You guys please lower the price of 4k projectors so that we can buy it. You common folk appreciate this projector, but I demand more. I want 4k driven by separate RGB channels with LED sources, each modulated by a DLP mirror (3x4k). No color wheels, no rainbows, no LCD blanking. For $800, please. Thanks! I have owned this projector for 6 months and have it in my theatre room with a Stewart 125" 2.35:1 StudioTek 130 and am very happy with it. 4K from the Sony FMP-X10 looks superb. The 1100ES was a little too big for me and the 600ES was a better choice. The only thing I am unhappy with is the lag for gaming but an imminent update will address this apparently. Brightness levels in FL are confusing for these projectors of late. 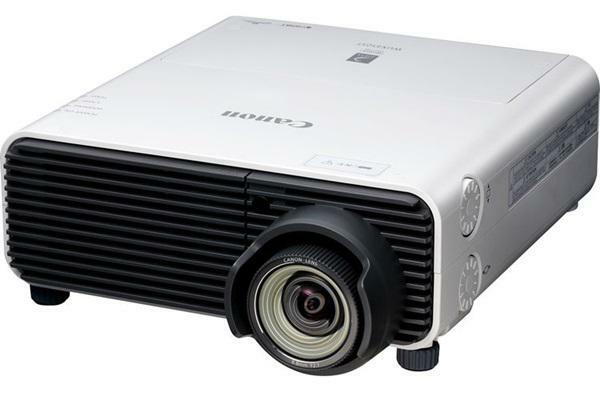 I've been using the calculator on this web site to compare many projectors, but all the newer ones not only have lower lamp power than my current projector, but the predicted brightness is far lower than I have now. For instance, I have the InFocus IN82, which on my screen, the calculator estimates 59 FL. This Sony projector tops out at only 18FL at the short end of the zoom lens. But everyone says this is 'bright'. I wouldn't consider my projector especially bright, but it's much brighter than my friend's Mitsubishi projector (it takes my eyes a while to acclimate to the dim picture), but it's comparable to a plasma TV display in terms of brightness and contrast. I bought it used for $1425 in 2009, and my video production business is considering a 4K production camera now, so I'll need to think about 4K projection in the studio soon. Another problem with my current setup is due to room support column placement, I can get a max throw distance of 13'. My IN82 really needs 16' to fill the screen top to bottom. The other problem is 2.35 aspect films.. there's no native 2560x1080 mode, or you need a lens that costs more than the projector and loses light. Zooming loses light and also gets pixellated as I found out with my friend's system. I wish there was a real practical brightness comparison. Subjective statements don't give me confidence. 18FL is pretty dim. I like high dynamic range stuff, so when the sun is shining into the camera, it's practically burning my retinas. My cameras can capture more than 14 f-stops of dynamic range, but current projectors seem to top out around 9-10.